I'm a chowhound who enjoys any flavor of ice cream as long as it's burnt caramel, so I can appreciate this singularity of focus. Does the head bod at Comme HQ have a hard-on for softwoods? Whatever the reason, there's a new little tree nudging its way into the CdG family photo, and its name is Floriental. Don't get hung up on the “Flor” part of “Floriental” -- no flowers here, buster. Or the “oriental” bit, either -- since there's no vanilla involved. That's just a tricksy slice of misdirection to “disrupt the perception”, as I was told at the Floriental launch at Selfridges in London at the end of July. And I suppose the disruption works, in that expectation is pulverized by recalibration at the very first sniff of this eau de parfum. The initial impression is that of a snarl of smoldering woods on a background of leather. I brace myself for an attack of eye-watering oudiness along the lines of Dior's bludgeoning Oud Ispahan and Leather Oud, but it stops short of full bludgeon. 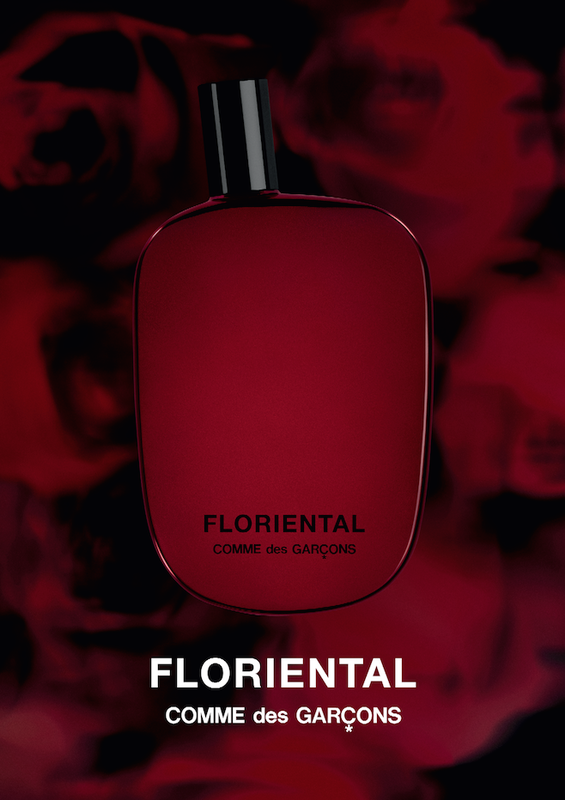 It settles instead into a long, linear amble through a fog of peppered-up sandalwood and vetiver. Floriental strikes me as a tougher, leaner version of Miller Harris' marvelous La Fumée series. Les Fumées are more nuanced and tender, dawdling longer in a sappy thicket of cistus resin and rose. By contrast, Floriental eschews blooms, and hews to sharp and smoky bark. Nice to read you back on the review circuit, Ms. Puckrick, though I'm jealous of your time in the UK--assuming you're not still there. Your review is, as always, playful--it's very easy for aesthetic judgments to get awfully stuffy very quickly--and illuminating. I'd agree that CdG is rather hard on the wood. But Hinoki was one of my first loves; Wonderwood failed to charm. Floriental would never have earned a glance, given its inverted reference. Why the obliqueness? It's one thing for Magritte to write over the image of a pipe: This is not a pipe. It's another thing entirely to lead a nose purposefully down the wrong path.Like I said, I'd never have given this fragrance a thought were it not for your review. CdG here seems to have misunderstood the tongue in cheek of ELdO's naming conventions. Speaking of conventions, it seems the oudh trend has led all the way to unmitigated harshness in fragrance. 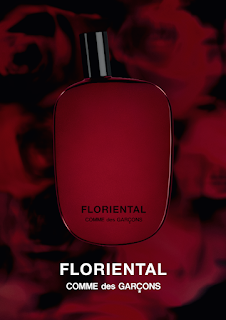 Floriental's "sharp and smoky bark" sounds like CdG's entry into the Burning Garbage school of perfumery. Perhaps Profumum Roma's Fumidus didn't say it ALL when it was released 7 or 8 years ago. But it said plenty. Would that it had remained avant-garde. Appreciate your welcome reception, tqm! Yes, I wonder if there are diminishing returns in CdG's continued hoeing of the wood row by now? 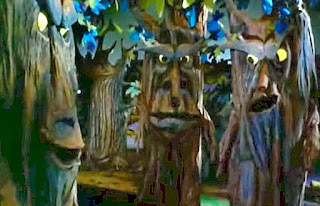 How much is there left to say in tree talk? Why the obliqueness, indeed. It almost seems like the perfume was shoehorned into a pre-existing marketing concept. I take your point re the connection between the oud trend and increasing harshness across trendy new releases. A sniff of real oud reveals a complex profile that while initially blunt, melts into a swirl of animalic sensuality, butteriness, salt-on-skin and a niff of cheesiness. Much deeper and pleasing than the topnote of heartburn showing up across the niche world. I've missed me some smelly Katie Puckrik! Welcome back! Will have to mosey on over to ZGO and get misted. So glad you're here for me, Scott. 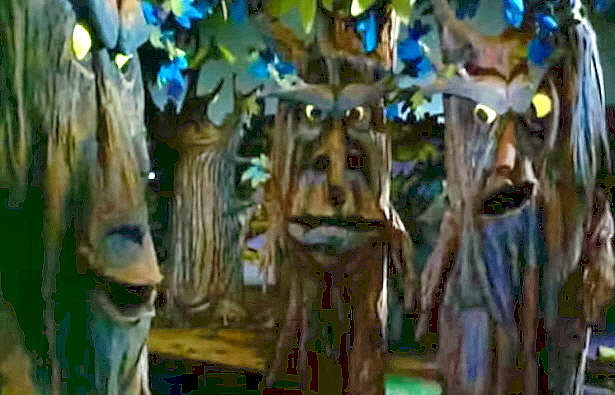 "Get misted!" sounds like a Valley Girl kiss-off. Ok, so how am I supposed to learn about fumes if I have to sniff my way through deliberately deceptive perfume names? lol This perfume should be displayed on a shelf marked, "Not As Far As You Know." When you get the chance, could you do a review of some of the fragrances from the house of Kerosene? In particular, Copper Skies, Creature, and Unforsaken. I would value you opinion. Great to see you back Katie! Will Dan be making a reappearance too or have you done him in? I have this chilling vision of you smothering him with a hankerchief soaked with Giorgio Beverly Hills and that he's now quietly dissloving in a vat of his own rash impulse purchases in a dimly lit garage. Say it isn't so! Walts, the specificity of your vision makes me think perhaps *you* are the one responsible for dissolving Dan. There are worse ways to die, I suppose. For example, I’m currently reading "Savage Harvest," which investigates Michael Rockefeller's possible cannibal encounter. Dissolving in a vat of perfume sounds heavenly by comparison. Thank you, though, for your concern, even if it was offered by way of a murder scenario. Fear not, I'm alive and I've made many more impulse purchases, for which I'll surely step back into Katie's perfume confessional soon. She won't even need to slide open the little screen divider to smell me! Katie!!!!!! I miss you dearly. I am rewatcing your old videos. I hope everything is okay!!! !